At one time growing orchids was a hobby for the wealthy, requiring a greenhouse and attentive care. Today you can buy some orchids very inexpensively in your local stores. They are often sold with the other blooming plants you can enjoy and discard. But orchids are more than that – there are many, many kinds that can appeal to a wide variety of tastes. Some can be very easy to grow, almost weeds, and some will challenge the expert. Phalaenopsis (fal-en-OP-siss) or Moth orchids come in white, pink, red, yellow, plain or with spots or stripes. The plants can be large or small, with a single stem or branching. You can start by learning to grow the Phalaenopsis orchid then move on to include other varieties. You will find many other varieties will grow in your home environment. If you join a local orchid society, you will find a lot of like minded people who will be happy to share their experience and their plants. Attending an orchid show will astonish you with the variety of sizes, forms and colors of orchids. And you will find the many vendors of orchids you do not find in the local store. There are some general rules about the culture of orchids. Most orchids in cultivation originated in the tropical areas of the world and generally grow on the branches or trunks of trees. The roots run along the bark in the moss that is also growing there and may hang down in the air. The roots are adapted to sponge up any rain or mist and can go for long periods of dryness. They collect any nutrients that happen by, maybe a gift from a bird. So this tells us that orchids need a lot of air around the roots – they will not grow in soil or mud, they dont like to be super wet, and they dont need much fertilizer. Orchids generally need a potting mix that is open and airy. A variety of mixes are available or can be made up, usually based on chunks of bark or coconut husk. Orchids that are imported in pots are usually in sphagnum moss to ensure no pests are hitching a ride but sphagnum can be overwatered too easily. Because potting mixes slowly breakdown and turn to mush, an orchid should be repotted every two years in new mix. At this point it is a good idea to learn the names of the kinds of orchids that are commonly available. If you wish to know about the culture requirements of a plant, it really helps to know what specific kind it is. Many times we are asked to give help with an orchid problem and when asked what kind of orchid it is, the answer is “I dont know”. That is like being asked to help with a pet problem when the owner doesnt know what kind of pet it is. Orchids usually have a “common name”, sometimes several. It is better to learn the scientific names, which are unique. It identifies the kind of orchid it is in case you want to ask for help or just brag. It can tell you a lot about what culture is required. If someone saw your nice flower, they would like to know what it is called. The name is needed for display/judging purposes. Years ago plants and animals were classified and organized into a structure that showed the relationships of one organism to another. A set of rules defines how everything is to be named. Latin was the universal language of science at the time and is still used today in the naming conventions. The first part of the name tells us that we have a member of the cattleya genus. The second part tells us that it is the species schilleriana. There are many other species of cattleya but this is a specific one. Also note that the word “cattleya” is capitalized – the genus is always capitalized. The species schilleriana is in lower case – a species name is always in lower case. And another point – we have a species – the singular form is “species” not “specie”. A little looking would tell us that the genus was named after a William Cattley in 1842 and this species was named after a Mr Schiller. Because it is a species, the names have been Latinized. The “Slc” stands for “Sophrolaeliocattleya”. Well it seems that some orchids of one genus will actually cross with orchids of a different genus. The result is an intergeneric hybrid. In this case we have a Sophronitis species crossed with a Laelia crossed with a Cattleya. No, not all at the same time! Anyway, we now have a hybrid that was called “Jewel Box”. Notice the capital letters – it is not a species. The word in quotes, “Scheherazade”, is the name given to one special plant of this cross, a specific clone. There were many babies from this cross but one really stood out and it had to have a name of its own. If your plants dont already have a clonal name, you can give them one of your own. The capitals on “Armeni White” tell us that this is a hybrid within the genus Paphiopedilum. The brackets signal that what follow tells us about the parents. “Armeni White” is a cross between Paphiopedilum armeniacum and Paphiopedilum delanatii. The clonal names tell us which specific parents were used in the cross. By convention, the seed-producing (female) parent is listed first, followed by the “x”, followed by the pollen (male) parent. It is sometimes very important to know which was which. The group of plants resulting from the cross is called a grex. The other thing present, the “FCC/AOS” is an award designation. The American Orchid Society (AOS) has many types of awards, this one being a First Class Certificate. The common awards are HCC, AM, and FCC, the FCC being the highest. Let us say that my plant of this cross just won an AM/AOS and I called the plant “Snow Queen”, what would my label look like? 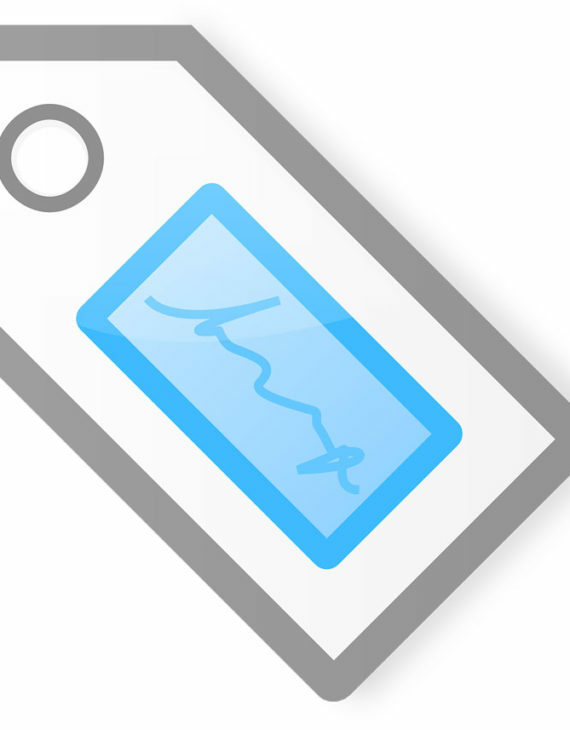 What if I divide the plant to sell a piece – what goes on the tag? ANS: Just what is on it now. They are both the same clone. What if I divide the plant, sell the piece and that piece wins an award? ANS: The clonal name and award can now be put on my plant’s name tag. It is the same actual plant or clone. A different plant of the same cross doesnt count. The thing to note here is that one parent is a “Blc” which stands for “Brassolaeliocattleya” and “Sc” which is “Sophrocattleya“. The genera combined in this cross are Brassavola, Laelia, Cattleya with Sophronitis and Cattleya. This combination of four genera is called a Potinara. The link below gives a table of all the intergeneric genus names with their abbreviation. You might also find a couple other terms on a plant label from time to time. One is self, which indicates that the parent was self-pollinated. The label usually shows xself. The other possibility is sib or sib-cross, usually abbreviated xsib or xsibling. Technically this refers to a brother-sister cross, but it is generally used to refer to two different clones being crossed. 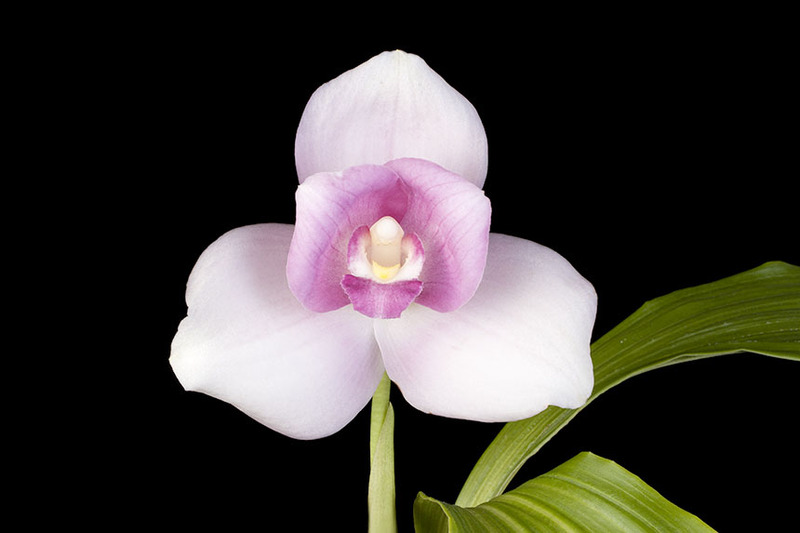 Orchid hybrid names are registered by the Royal Horticultural Society. They have a web site (listed below) that provides access to the name registry. It is always a good idea to look up your hybrid name to see if the name has actually been registered, if it is spelled correctly, and to determine the parents. If you have the parents only, check to see if the cross has been named. 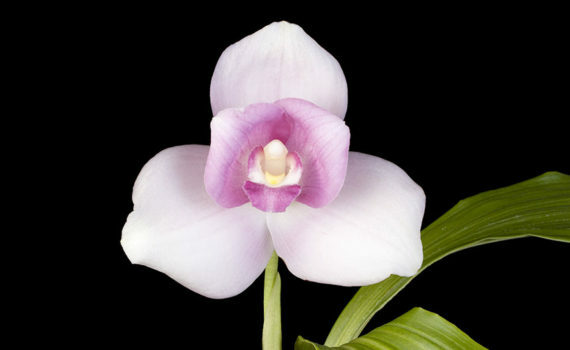 RHS Orchid Name registry – Find the parents of your hybrid or See if your cross has been named. An individual plant raised from a single seed, with all its subsequent vegetative propagations. A subdivision of a family, consisting of one or more species which show similar characteristics and appear to have a common ancestry. A flock or group, applied collectively to the offspring of a given cross. The offspring resulting from the union of a species or hybrid with another species or hybrid. Between or among two or more genera. The pollination of a flower with pollen from the same plant. a kind of plant distinct from other kinds. Orchids form one of the largest and most diversified families of plants. The flowers are highly adapted for attracting, deceiving, and manipulating insects to achieve pollination. They seem to also be very successful in attracting humans to assist in their propagation. Years ago plants and animals were classified and organized into a structure that showed the relationships of one organism to another. A set of rules defines how everything is to be named. Latin was the universal language of science at the time and is still used today in the naming conventions. The class of flowering plants or Angiospermae are divided into two subclasses, the Monocotyledonae (monocots) and the Dicotyledonae (dicots). Within the monocots is the super order Liliiflorae, which in turn contains the family of orchids, Orchidaceae. the flower stem twists around during development so that the lip is down (resupination). with a fungus has been established. The orchids that orchid growers are mostly interested in are the tropical epiphytes. Epiphytes are plants that grow upon other plants, usually in forests. By doing this they gain a better position to obtain more light. Their roots cling to branches of trees and obtain water only in rain or fog. Many orchids, bromeliads, ferns, mosses and lichens are epiphytes. the leaves are mostly parallel-veined. the leaves are mostly net-veined. Liliiflorae contains not only orchids but lilies, amaryllises and irises. All these plants develop their seeds in ovaries below the flower. Most cultivated orchids are perennial tropical plants. They require light, water, fertilizer and a humid atmosphere to grow well. Orchids with thick, fleshy roots can be potted in coarse bark chips, grown mounted on a piece of cork bark or on a branch. Orchids with fine roots are grown in a blend of small bark chips, sometimes with sphagnum moss, perlite or charcoal added to the mix. When buying an orchid, always ask what kind of potting mix is recommended for it. Orchid roots need both moisture and air: roots need to breathe between waterings or risk decay. Dead orchid roots cannot absorb water or nutrients! Examine the potting medium and the roots of any orchid that fails to thrive – the plant may need repotting. When the potting mix decays, becomes compacted or water-logged. Many orchids have succulent or leathery leaves and swollen stems used to conserve water. Orchids with water storage capabilities generally require less frequent watering than those with thin leaves and no swollen stems. Orchids grow well in filtered sunlight or in artificial light. While most seedling orchids do well in moderate light, adult plants vary considerably in their light requirements and tolerance. Too much sunlight can burn leaves especially if the plants are not accustomed to it. Especially harmful is the heat produced by direct sunlight or by a plant touching a light bulb. Placing a sheer or lace curtain between the orchids and the sun is sometimes sufficient protection, especially for sun-tolerant plants but all orchids will benefit from air movement generated by a nearby fan. Fans can help cool plants especially if the leaves are first misted with water. As the water evaporates into the air stream, the leaf surface cools. Evaporative cooling can produce a 5°C drop in leaf temperature. Orchids grow best when the temperature varies at least by 5°C from the daytime high to the nighttime low. and Odontoglossum will have a set point around 10-15°C (50-59°F), while orchids termed Intermediate e.g. 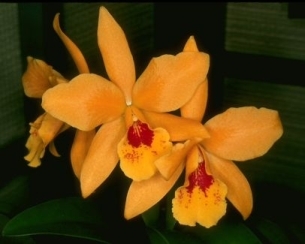 Cattleya and certain Oncidiums will have a set point around 15-20°C (59-68°F) and those referred to as Warm growers e.g. Phalaenopsis and Vanda will have a set point from 18-25°C (65-77°F). To make the road to discovery an easy one, the beginner is advised to start with orchids preferring one temperature range. Most mature orchids bloom once a year but their flowers frequently last a month or longer. Species orchid flowers are predictable as to size, colour, fragrance and blooming season. Hybrids are not as predictable but once a hybrid orchid has flowered, you can predict when it is likely to bloom again. If you have a particular preference for blooming season, ask a society member or vendor for recommendations. Flowering pot-plants require sufficient light, regular fertilizer applications and watering to bloom well. Orchids are no exception. The challenge of growing orchids well and having magnificent blooms lies in finding the balance of light, temperature, water and plant food that is best for a particular plant. Although jungle orchids seem to survive, even prosper, clinging to the bark of a tree, they do benefit from a sprawling root system, employing it to harvest mineral nutrients derived from animal and plant debris in the forest canopy. Additionally, wild orchid roots frequently harbor mycorrhizal fungi that spread out through the tree bark, thus vastly increasing the harvesting area of the roots to absorb scarce minerals such as phosphorus. Regular applications of dilute commercial fertilizer such as 7-7-7 can do wonders for a potted orchid plant. Always prepare solutions according to manufacturer’s instructions. There are products recommended both for growth and for flower production. Apply liquid fertilizer weekly after thoroughly watering a plant. Do not fertilize dormant plants, those with dead roots, or those not in active growth. Production of new leaves and roots is a sign of active growth. If new shoots become soft and floppy, fertilizer application may be too strong, too frequent or light may be inadequate to support growth.